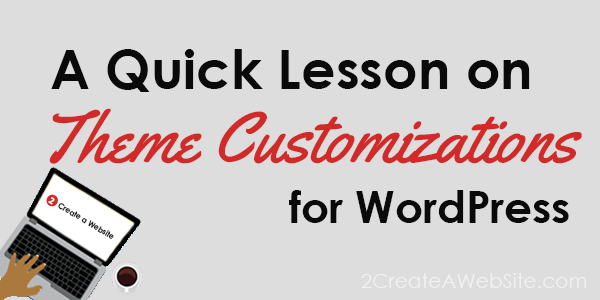 Before you download your first or next theme, learn more about what it takes to customize it. I should also mention you can find a WordPress theme that is designed exactly how you want, but 9 times out of 10 there will still be something you’ll want to change. I know that I can never find a theme that is perfect for my needs. I always have to tweak it. So let’s talk about your options above. I’m going to go out on a limb here and say that #4 is out. 🙂 So let’s talk about your other options. I have nothing against programmers, developers and designers. We NEED them. I don’t care how fancy WordPress themes and plugins get, there will always be a place for these talented individuals. However, they aren’t going to come cheap — at least not the good ones. A high-quality designer will run you at least $100-$200/hour. Now, if you need some minor customizations done, you may be able to save by going to a site like Upwork. I use them all the time for small projects. I believe that WordPress themes and plugins have come far enough now to where you can do a lot on your own and save more money. Premium themes give you more control over your design without knowing much or any code at all. Yay! For example, I use StudioPress themes, and you can control how many columns each page has by simply choosing a layout on any page. They also have dozens of free plugins that make it super easy to make changes to your footer, header, columns, etc. Elegant Themes and Themeforest also have great looking themes. I had a subscription to Elegant before I bought my Pro Membership to StudioPress — which gives me lifetime access to all their current and future themes. Since that investment, I’ve had no need to shop around for themes. This site uses the StudioPress (Genesis) Daily Dish theme, but I customize my actual site pages with the two plugins mentioned below. The beauty of WordPress is that it’s open source. That means developers can create add-ons (known as plugins) that make site additions and customizations a breeze. You can install design plugins into WordPress that will allow you to strip down to the bare bones of your theme and design within your site’s framework/container or even override the design. Once again, without a plugin, you’d have to know PHP and CSS to pull this off. I’m going to recommend two visual editing plugins I use, and they both worth with ANY theme. This is a drag and drop visual editor that is best for adding columns within your content. It comes with preset templates, so all you do is choose the layout you want and populate with text, images, buttons, etc. So let’s say you want a 2-column layout with an icon on top, a heading below that and text below that. You’d choose the appropriate template inside Visual Composer and populate it with text, images, etc. The homepage of this site was designed with this plugin. Notice how it has a very column-focused layout. Every single element on that page was created with that plugin, and it was super easy. For years, I’ve wanted a two-column layout with my face, but couldn’t find the theme that did what I wanted. Thanks to VC, I now have the homepage look I want! Also, many Themeforest themes come with Visual Composer. So you might be better off searching for one of those instead of buying both products separately. You can watch a demo of Visual Composer here. Thrive is also a drag and drop visual editor, but better for designing attractive landing pages. It works very similar to Visual Composer, but there’s more focus on the design — making it better for landing page creation. Visual Composer templates are pretty bare bones. Thrive works the same way except they offer templates with more images that have been tried and tested for conversions. So if you want to create attractive email opt-in and product landing pages that convert, this is the plugin for you. I used Thrive for this landing page and others. Why Buy a Premium Theme if You Use a Design Plugin? That’s certainly an option! And I do believe these design plugins make the theme you choose less relevant. Also, you’re getting customer support and better coding (faster page loading and cleaner code for the search engines). In my opinion, it’s still worth investing in a premium theme for those two reasons alone. Keep in mind that the theme you choose also determines how many menus your site has, the location and styling of the menu, etc. However, if you’re on a budget, start with a free theme and grab either Visual Composer or Thrive to help you with designing pages within your theme.